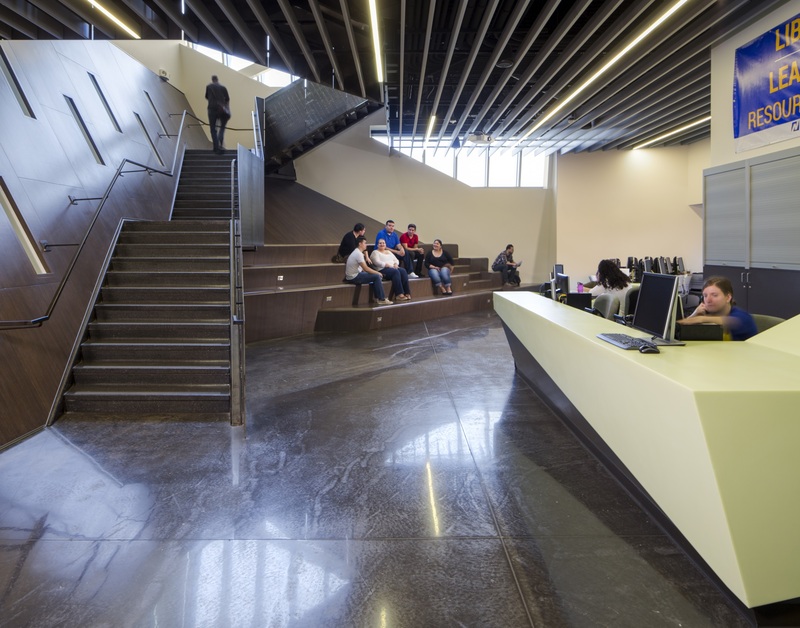 The Northeastern Illinois University (NEIU) El Centro project is the first component in a satellite campus master plan envisioned by NEIU to provide educational, career and cultural opportunities primarily, though not exclusively, to the Latino community of Chicago. 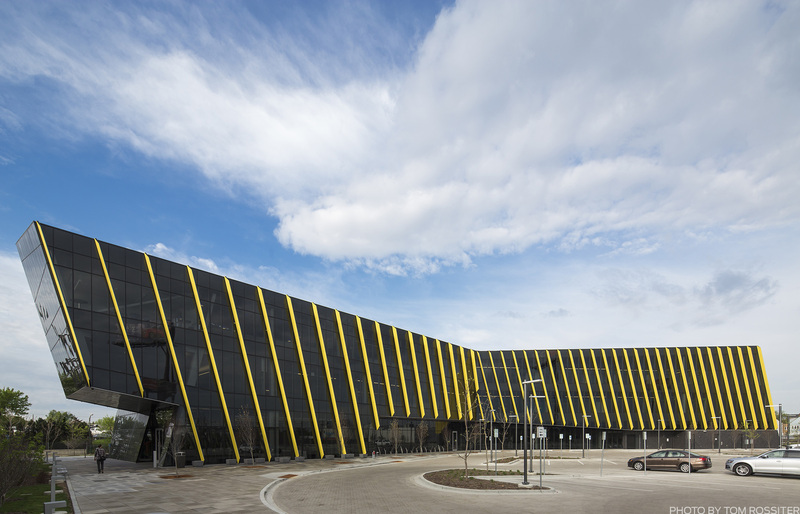 The El Centro campus seeks to revitalize this large swath of primarily industrial land bordered by Kimball Avenue, the Union Pacific/Northwest Metra line, and the 90/94 expressway, while serving as a catalyst for further development in the area. 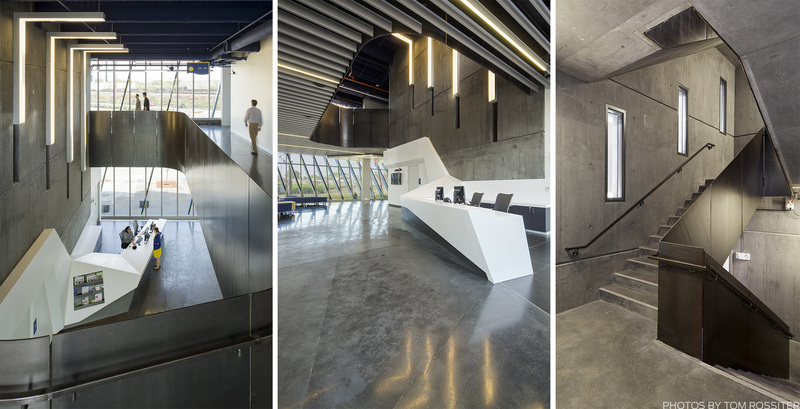 Although the site may seem overwhelmed by its context, the location is a significant and strategic design choice. This is evidenced by the fact that there exists a large Latino population in the area and the CTA Belmont Blue Line station located immediately to the south. These key components of community and infrastructure will support the campus as it evolves which will in turn encourage the area to become more businesses, pedestrian, and bicycle friendly. Furthermore, this site offers NEIU both figurative and literal visibility. 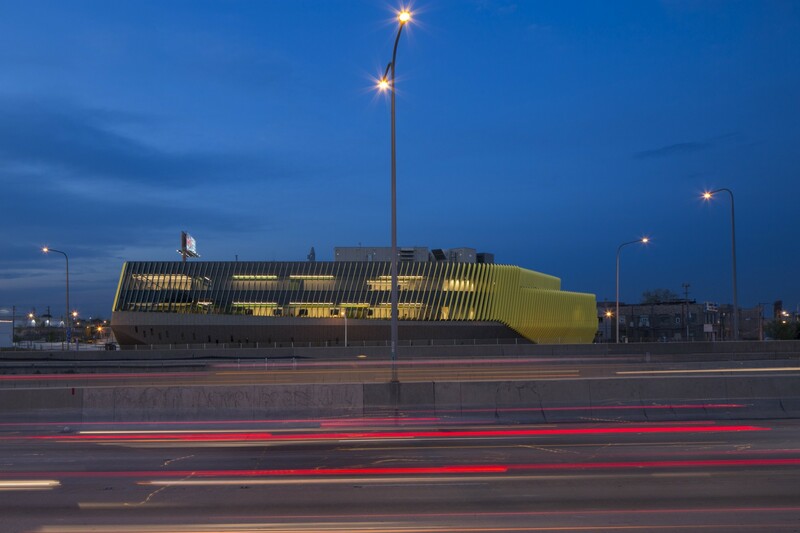 The building footprint follows site geometry while pushing toward the expressway to reflect an urban street edge with parking hidden behind. 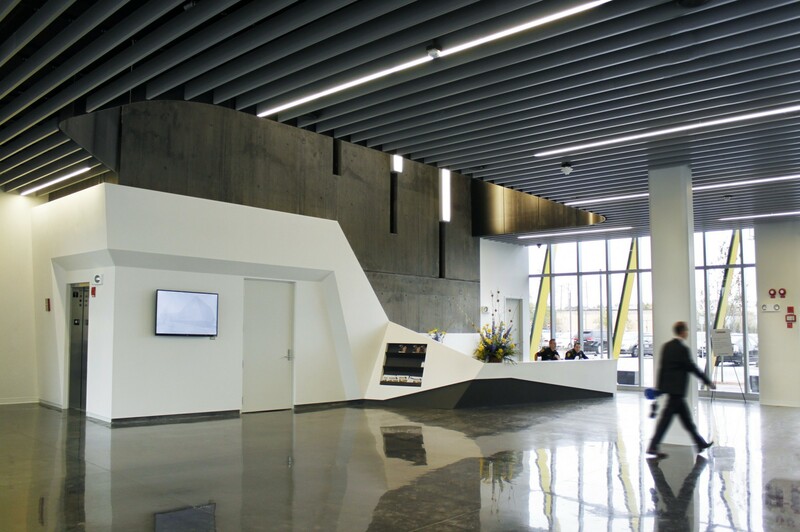 This orientation allows the building itself to act as a marketing tool for NEIU. 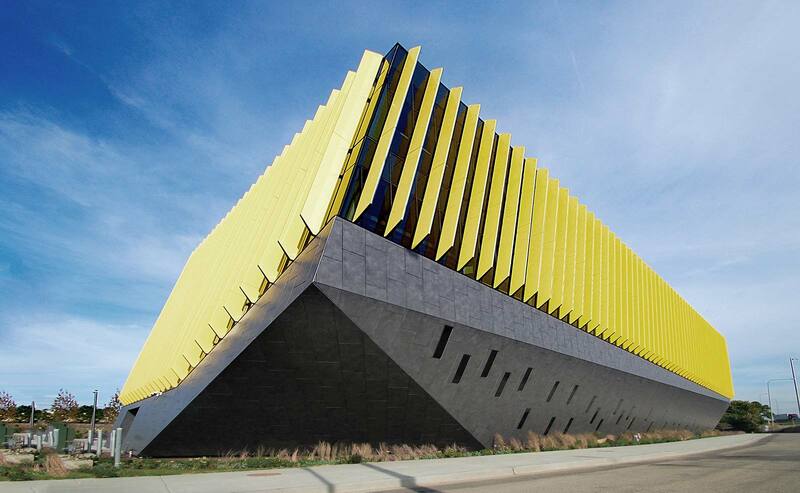 Unlike a billboard, the architecture asserts its presence, not through shameless advertising, but through twisting roof forms and the bold NEIU school colors prominent on the vertical louvers rhythmically arrayed along the building’s facades. 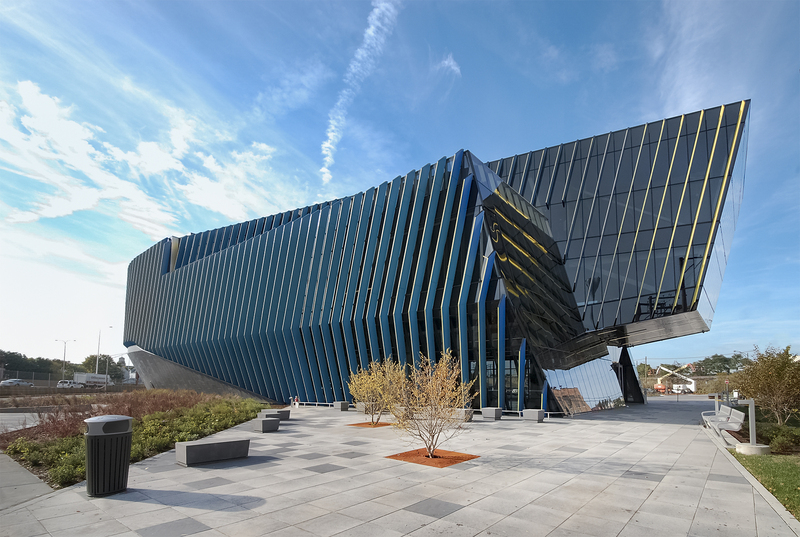 The message will be read loud and clear: NEIU stands as a role model in the community of higher education with a commitment to excellence, access to opportunity, and diversity. 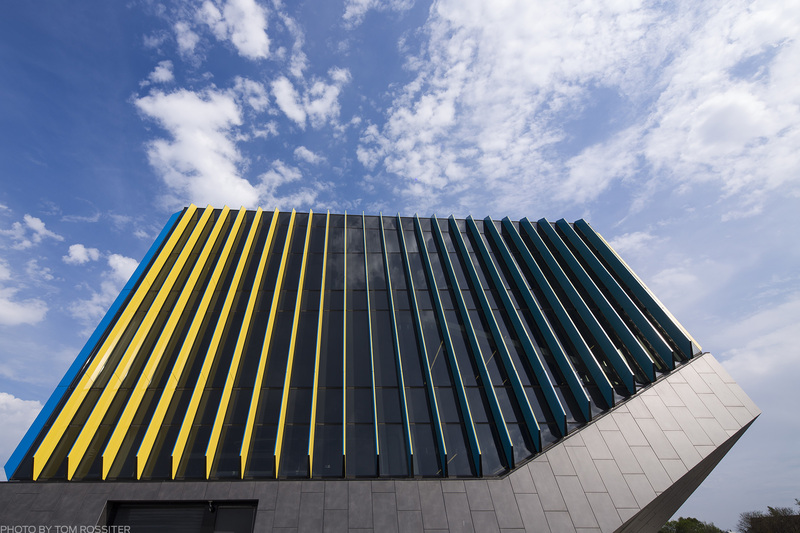 The building’s sculptural form and vibrant facade are layered with intent reaching far beyond their superior marketing capabilities. Especially indicative of this point are the exterior vertical louvers, which when coupled with the fully-glazed single-loaded corridors, combine to create an incredibly efficient sun-shading and acoustic-buffering barrier, protecting students of the many evening classes offered from the intensity of the setting western sun and the roar of rush hour traffic. 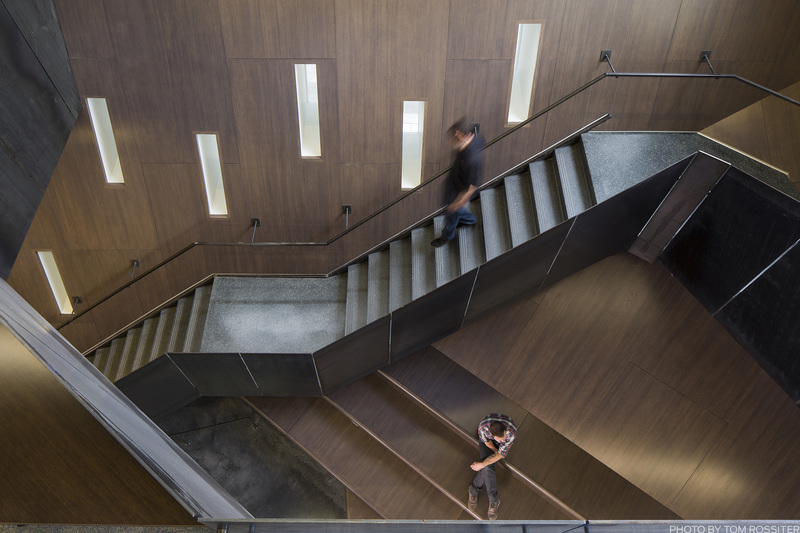 The canted walls and twisting roof forms respond to the programs within. 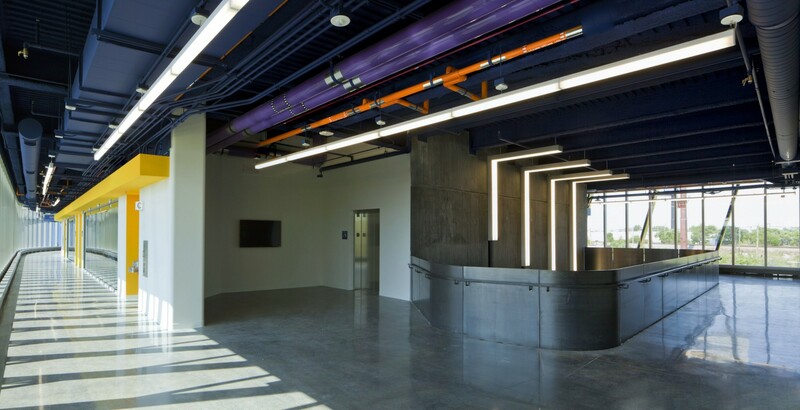 The solid portion at the base of the building houses NEIU’s art collection in a linear gallery which connects the expansive, double-height multi-purpose/lobby area with the student resource center at the opposite end. From there the building rises along with tiered theater style seating which define the space and connect it to the stacked classrooms on the second and third floors. 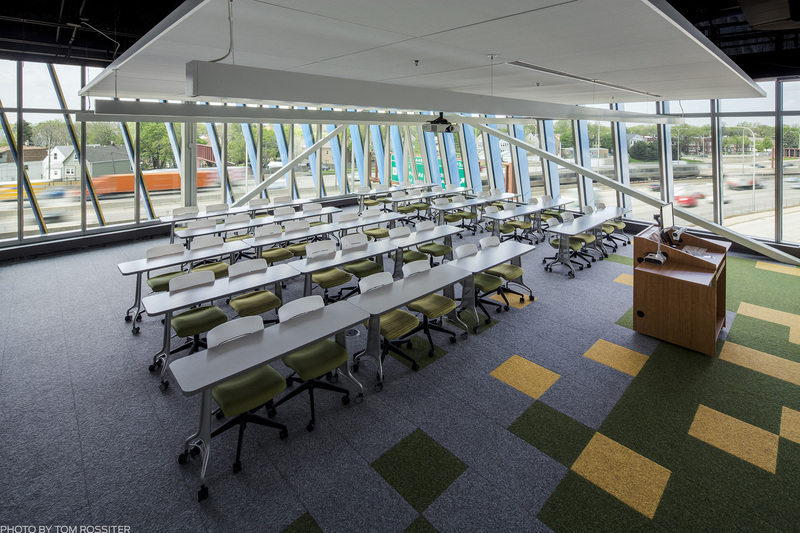 The building culminates at the student lounge where the ceiling sweeps upward, drawing your view to the Chicago skyline, and pulling you outside to a lush green terrace. 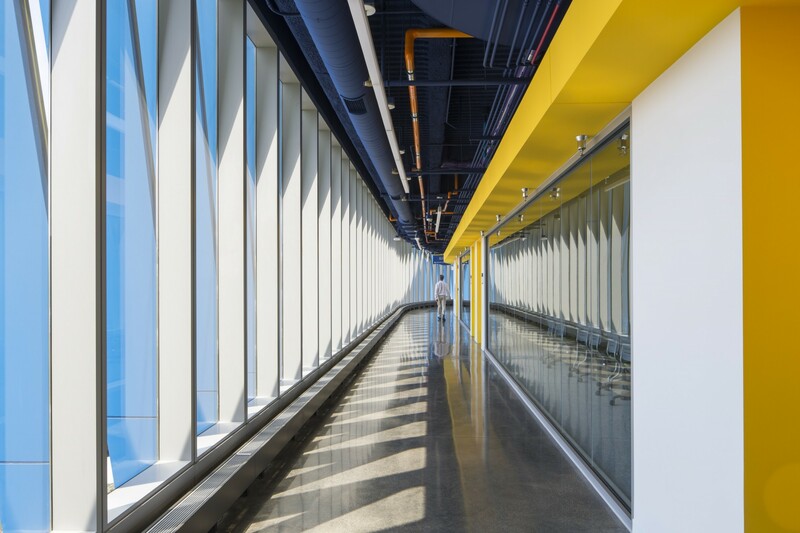 The NEIU El Centro Campus is a project completely engrossed in and belonging to its location and community and reinforces Chicago’s identity as a city rich in educational and architectural cultures.